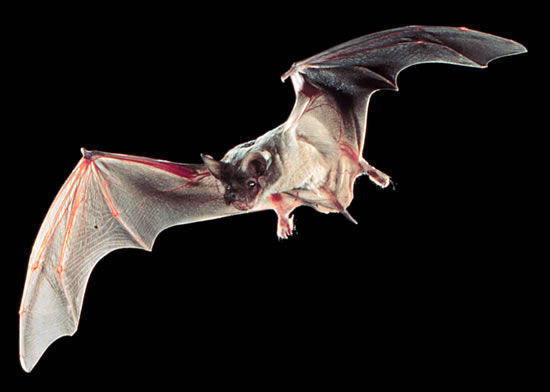 Mexican free-tailed bat in flight; public domain photo by Ron Groves / Encyclopedia of Life. State Representative Jeff Hickman (one of the bill's sponsors) explained that the Mexican free-tailed bat flies to Oklahoma to breed and then flies back to its indigenous Mexico. He said, "Texas also has the Mexican free-tailed bat as its official flying mammal but the only thing it does in Texas is leave a few droppings on its way to Oklahoma." 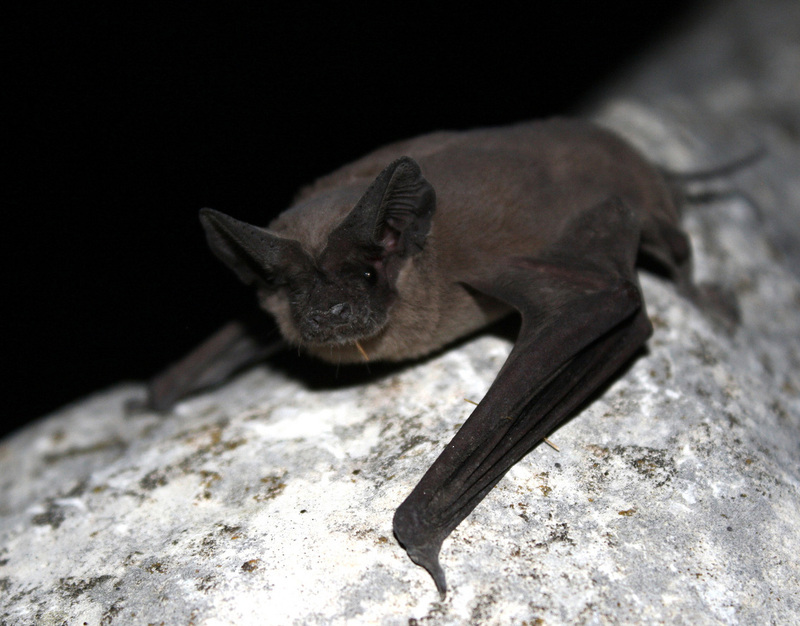 Humans threaten Mexican free-tailed bat populations by using pesticides that are harmful to the bats, and by destroying and reducing the bats' natural habitats. Noting a decline in bat populations, the Oklahoma Wildlife Department purchased the Selman Bat Cave and the area around it in 1997. The Wildlife Department now protects the cave from human disturbance, preventing any construction nearby and preventing people from wandering too close. Bats are nocturnal animals that hunt insects through echolocation (they are especially important for controlling the mosquito population). Mexican free-tailed bats live in the gypsum caves of western Oklahoma and migrate to South America during the winter. They leave their caves en masse in the evenings (a spectacular sight) and may travel hundreds of miles and fly to an altitude of 3,000 meters (10,000 feet or almost two miles) to feed on insects during the night. Mexican free-tailed bats (Tadarida brasiliensis) live in caves in the southern U.S., Central and South America. Their colonies are the largest congregations of mammals in the world. The largest colony found in Texas (near San Antonio) has nearly 20 million bats, which eat around 250 tons of insects per night! Bats are the only true flying mammal and are unquestioned champions of aeronautics. Our own distant relative, the bones of a bat wing are essentially the same design as those of a human arm and hand (having a thumb and four fingers). The brain of a "flying fox" has more in common with a primate than a rodent. Mexican free-tailed bat at rest; photo by USFWS/Ann Froschauer on Flickr (use permitted with attribution).